Create the VueJS 2.0 apps you always wanted. Build 5 apps, learn development secrets, VueRouter, Vuex, & more! Become an in-demand software engineer by taking this tutorial on Vue Js. 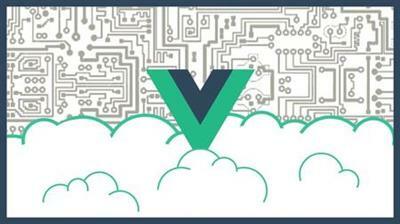 As one of the fastest growing frameworks for web development, learning Vue is a must. Simply put, understanding Vue will open doors and jobs for you. This project-based course will have you coding right away. By building five carefully thought-out example applications, you will sharpen your skills in modern web development. First, learn the essentials of Vue 2.0 by going through the main concepts and syntax. Then, build your first single-page app with Vue. Second, create an application that handles HTTP Web Requests in Vue and uses a public API. Extend upon this application next, learning VueRouter for multi-page applications. Fourth, build an application that works with Vuex to manage data. Finally, cap it all off by building an app with full authentication and a real-time database. You’ll not only learn Vue 2.0, but essential libraries like VueRouter and Vuex. Vuex can have a reputation for complexity, but you’ll find in this course, a secret recipe that boils Vuex down to three simple steps! Lastly, don’t worry if you’re new to web development. Some jаvascript experience will help, but this course explains every new concept thoroughly. So what are you waiting for? Take the dive into VueJs. Let’s get started coding!